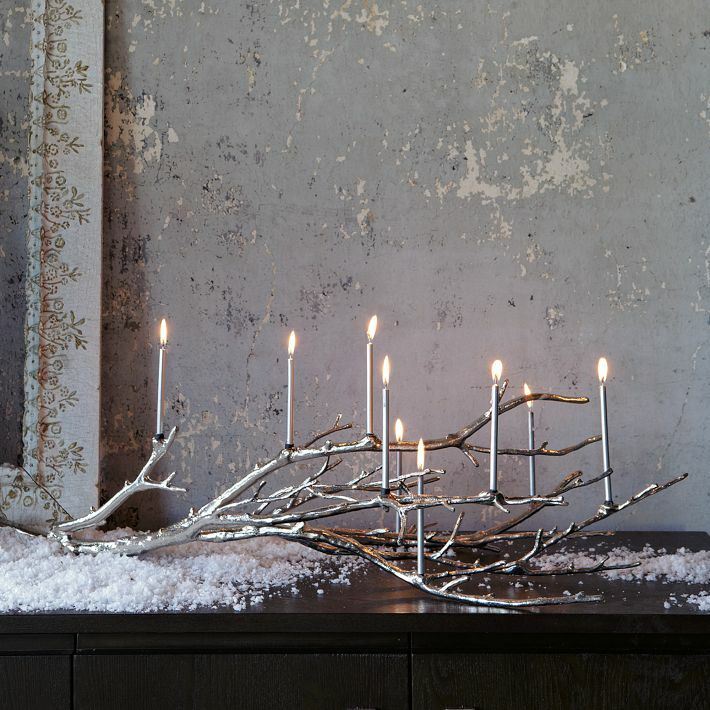 Ok so this gorgeous piece from West Elm isn't a menorah. It's marketed as a "candelabra." This "candelabra" happens to hold exactly 9 candles. Funny, because a menorah does, too. Regardless, this is a sculpture worthy of display in anyone's home. Manzanita Candelabra. West Elm, $99. The branch form is great for bringing in a natural element. The finish makes it glam. The shape makes it modern. The purpose makes it a traditional staple for any home. It can grace anyone's mantle. Need a specific use to justify adding another thing you need to dust? Light it up as a Hanukkah menorah. Light it up for Christmas dinner. Light it up for Kwanzaa. Light it up for post-Ramadan Eid. Light it up for Nowruz. Light it up for a fancy dinner party. Light it up for a romantic dinner. Light it up for a special night alone with ice cream and a rom-com. Do they do Secret Santa at the UN? This candelabra should be the gift for everyone.